Taking things for granted... That's a pretty normal phenomenon. We do that with our spouses, family, friends, pets, possessions and in Richmond, our safety. For me, it is Rich Guy. Generally, when he comes back from the Philippines, he is a consistant eating companion. Now that he is back for good, I haven't eaten with him for months. Yes, I have taken him for granted. So much so, he had to initiate a food adventure this time around! Actually, what he really wanted to do was to buy a Chinese Cheongsam for his daughter. On my suggestion, we headed to Chinatown to my go to place for Cheongsam (I have a go to place for this?!?!?) which is KK Boutique. Conveniently located across the street from our eating destination - Jade Dynasty. 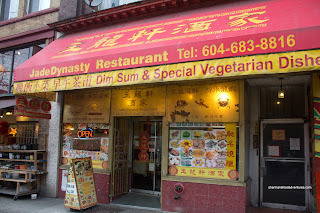 From the outside, the place looked super-shady with the typical tacky yellow-red awning and pictures of various dishes. On the inside, it was surprisingly clean and spacious. Shockingly, their washroom was rather decent considering the restaurant's location. Like many Dim Sum services these days, we were presented with an order sheet. We proce eded to mark off 8 items to which our server reminded us that we ordered a lot of food. We acknowledged her concerns, but little did she know that we could actually do more! The first item to arrive was the Stuffed Eggplant. 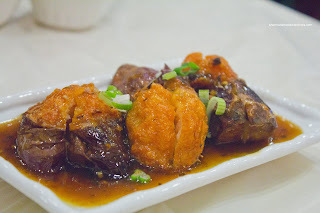 These could've been fried a touch less as the outer layer of shrimp and eggplant were getting dry and leathery. However, on the inside, the eggplant was fine while the shrimp was slightly chewy. We weren't impressed with the black bean sauce as it had more colour than taste. 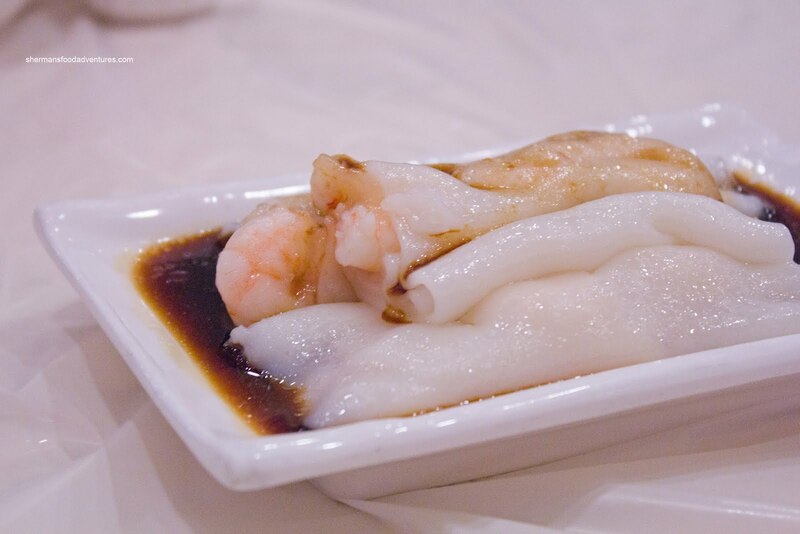 Next came the Shrimp Rice Noodle Roll which was very good. The rice noodle was soft and just a touch thick, yet exhibited a desirable elasticity which ensured that it didn't fall apart when picked up. There was plenty of medium-sized shrimp which had a good snap texture, however, they seemed to lack seasoning for some reason. I do realize there was sweet soy on the plate, but the shrimp needed to be seasoned as well. Okay, we did it again. We ordered Xiao Long Bao in a non-Shanghainese Dim Sum meal. So we had low expectations. Even with that, these XLBs were terrible. First of all, they were far too big. Stuffed inside the overly thick and doughy wrapper was some pretty chewy, sinewy, fatty meat. There was no soup to speak of as well. The only good thing was the good amount of ginger flavour. Serves us right for ordering these. Thankfully, the Haw Gow was pretty good. 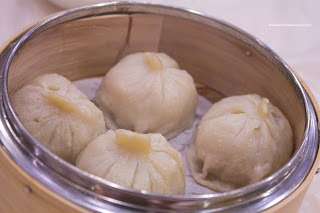 The dumpling skin was a touch thick while still exhibiting a nice texture and elasticity. The whole shrimp inside was crunchy with little in the way of filler (which would explain why it was quite loose as well). 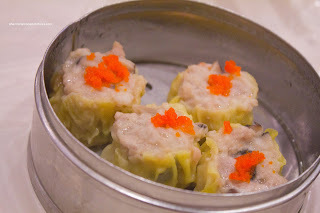 The Sui Mai was even better in my opinion. Although being on the sweeter side, there was just the right amount of seasoning where we could still taste the pork, shrimp and shiitake, yet at the same time, not have one component overwhelm the other. The best thing of all though was bounce texture of the meat and the snap of the shrimp. 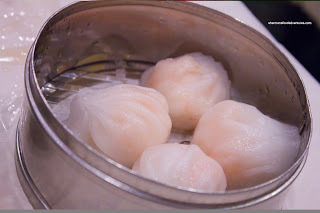 This is what sui mai should be like. 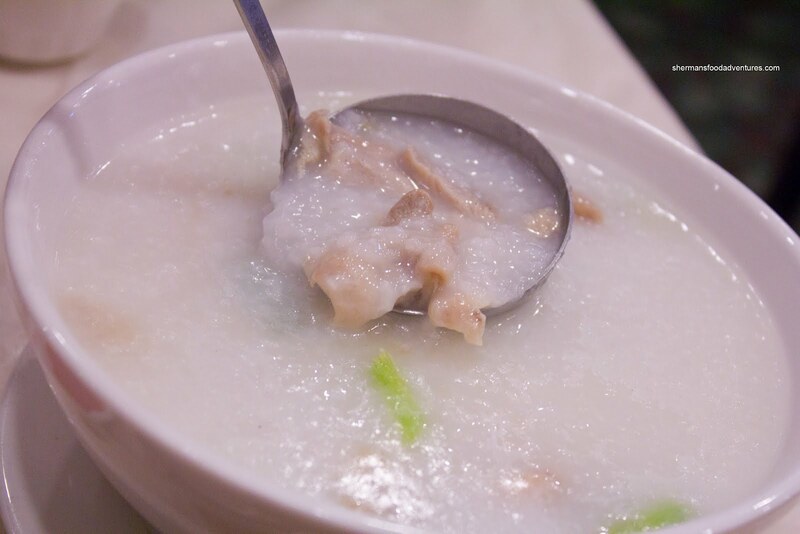 For some reason or another, we decided to get a large bowl of Chicken Congee as well. "Home-made looking" was probably the best way to describe it. It was very white and not really all that thick (probably more like watery). However, that was the only home-made part of it since it was very flavourful in an MSG kind of way. On the other hand, there was a significant ginger and onion presence also. 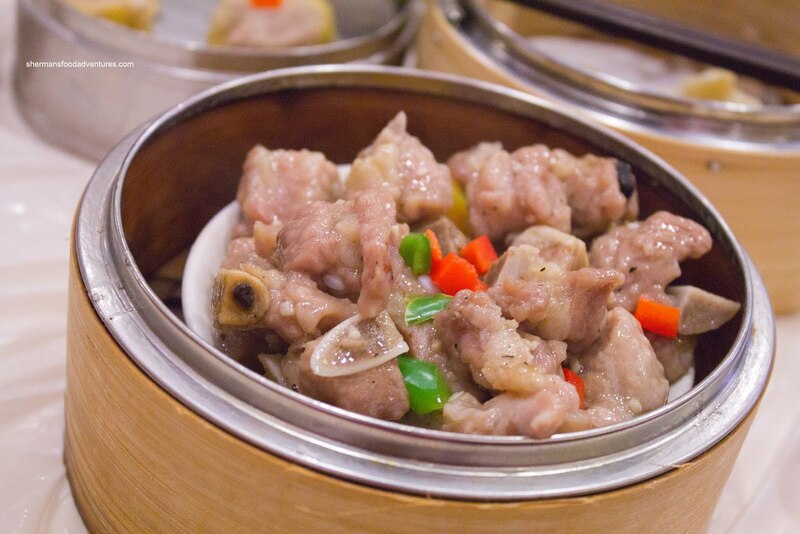 Furthermore, it was loaded with large pieces of de-boned chicken leg meat which was moist and tender with all of the skin and fat removed. Rich Guy and I had a difference of opinion when it came to the Pork Spareribs. He found them overly chewy and over-seasoned while I thought the shortcomings were not too significant. I did agree that the meat could've been tenderized a touch more and also they should have been less aggressive with the MSG. However, as a whole, the portion was pretty generous and most pieces were of the rib variety which meant less fat and cartilage. Also, I could really taste the mix of black bean, garlic and peppers which is not always the case with this dish. Lastly, and I mean really lastly (as it took awhile from the spareribs to this dish), the Panfried Daikon Radish Cake arrived. These were some pretty large cuts of radish cake as you can clearly see from the thickness and the fact they barely fit onto the plate. We found them a touch dense and slightly dry. However, the panfry was decent and they apparently didn't use much oil (which would be another explanation of it being dry as well). 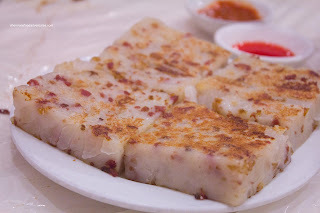 There was large chunks of daikon and plenty of Chinese sausage which added a nice flavour. I didn't even need to drench it into hot sauce. To our server's surprise, we had dusted off all of the food except 2 of the XLBs (for good reason). 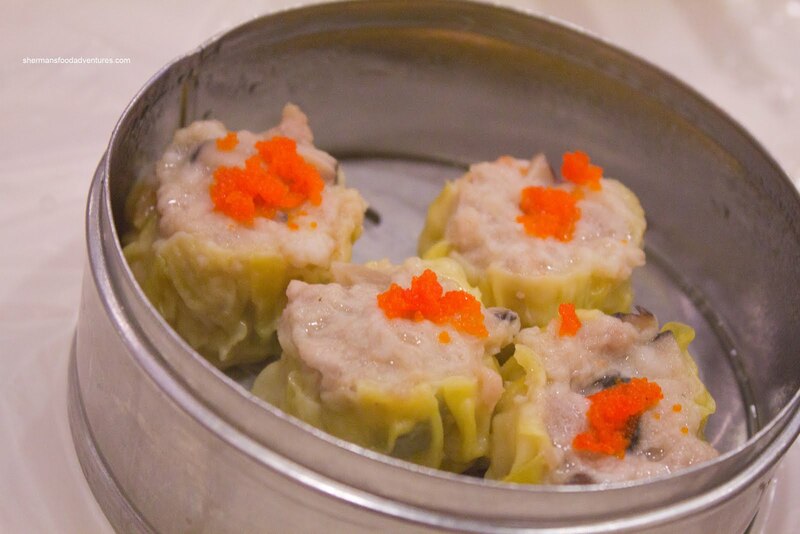 Despite the XLBs and some minor issues with the food, the Dim Sum was above-average at a fairly reasonable cost (considering the portion size). We wouldn't normally hit up Dim Sum in Chinatown since that would mean going to Floata (ew...), however Jade Dynasty is a viable option (especially ever since Kam Wai ceased their restaurant operations).